I recently wrote a blog post discussing a technique of creating “polygon-like” visualizations without the polygons. I was incredibly excited to see how well-received the blog post was. I immediately started receiving messages from others saying that they were excited about the technique and they couldn’t wait to use it. Within a couple of weeks, at least a half-dozen visualizations were posted utilizing this “no-polygon” technique. Zen Master, Matt Chambers, used it to create Sports City where he compares major sports championships across numerous cities. A Zen Master used my technique – woo hoo!!!! Marian Eerens used it to visualize Gender Equality. 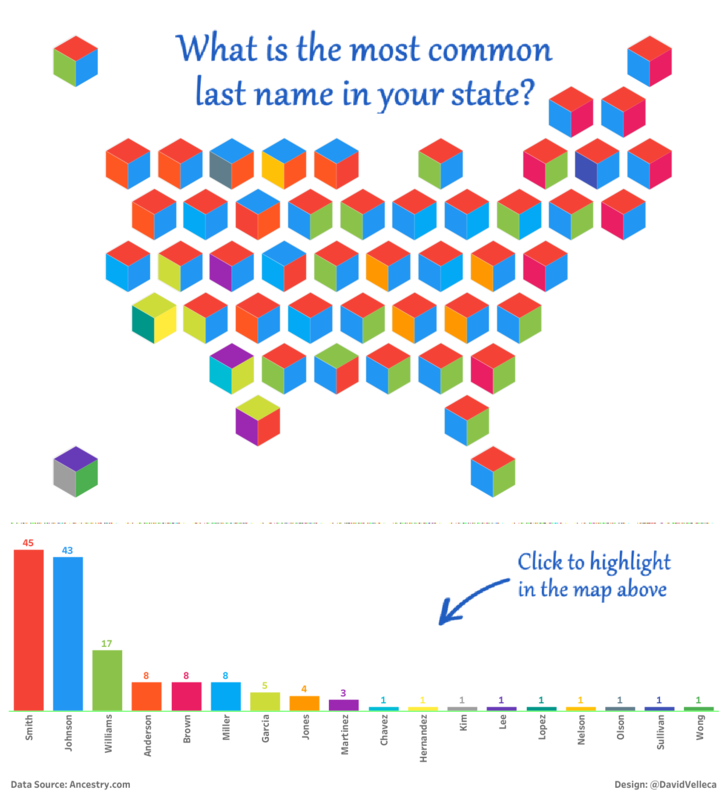 Then David Velleca used the technique to create a visualization about Most Common Last Names which won Viz of the Day! I will admit, I was probably as excited as he was. The creativity of the community is just astounding. I will admit, when I originally wrote the blog post, I knew you could use whatever “shape” you wanted, but buy I didn’t realize the breadth of it. When I looked at how David utilized shapes to create 3D cubes, I finally had the eureka moment. You can literally use any image! ANY IMAGE! 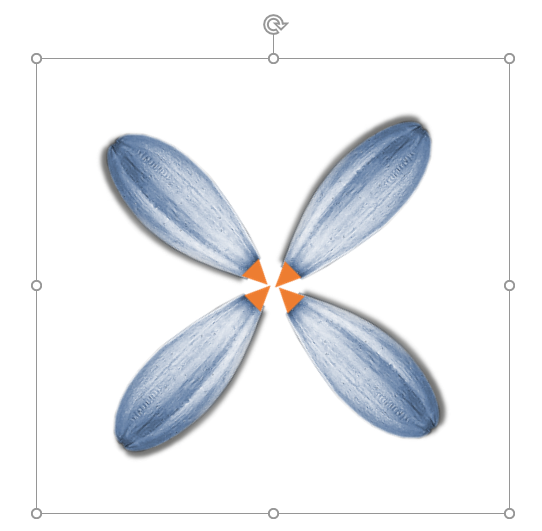 It doesn’t have to be a standard shape in Tableau or a shape you created in PowerPoint; it could be anything! So that’s what I decided to do. I always loved the way in which flowers beautifully represented data and how flowers were so analogous to our lives. So I decided to utilize flower petals to tell a story in a visually pleasing way. 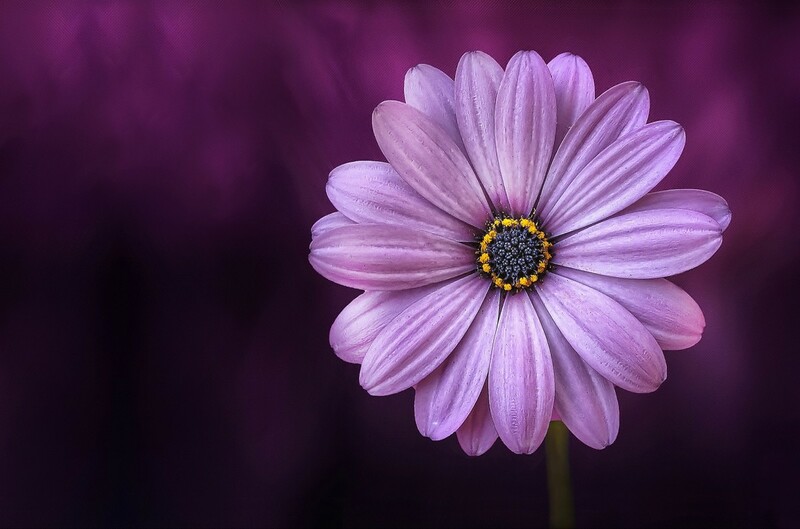 I did a google search, found a beautiful photo of a flower that was labeled for reuse. From there, I trimmed off just the center of the flower (if you want to be taken back fourth grade, this is called the pistil) and one flower petal. Honestly, I didn’t do a great job, so I asked if my father, Mike Flerlage, to fix my poor work. (He is a wiz at Photoshop and would be amazing at Tableau if we could get him to learn it #FlerlageConsipiracyContinued.) 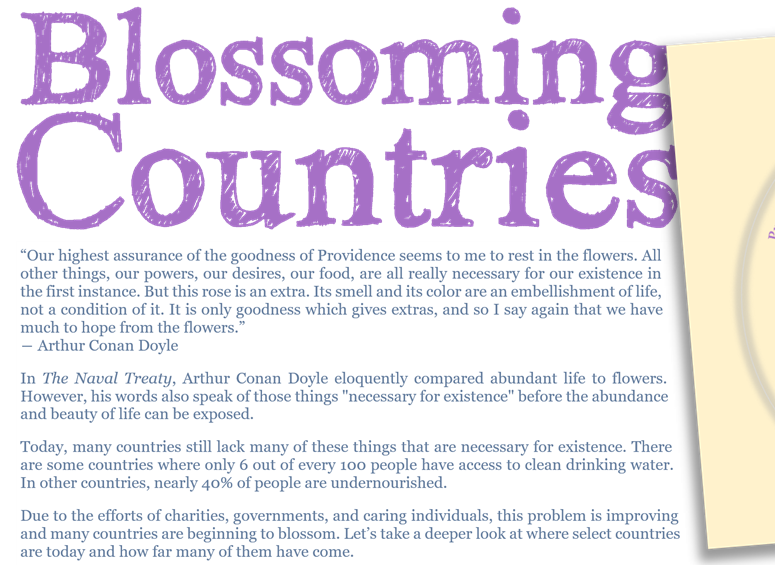 I asked that while he was at it, could he make a copy of the petal and make that copy blue in color. When he was done, I had the center (pistil), a purple petal, and a blue petal. At TC18, Neil Richards spoke about the concept of design-driven data. Although this situation is a bit different, I did, in fact, have the design and I needed to find a good data set to go along with it. With Thanksgiving rapidly approaching and that holiday generally focuses around a big meal, I decided that I wanted to focus on those who are undernourished. Since I was already familiar with water scarcity data (my viz on this topic won me my one and only Viz of the Day), I thought it would be perfect to couple with my undernourishment data. I utilized the method described in my no-polygon blog post to create images that would eventually be stacked on top of each other. I will note, however, that this time I did something a bit differently with the images. In the blog, I noted that I created the final image then went into a photo editor and cropped out portions (in the blog, I cropped out three quadrants and left just one). This time I used PowerPoint for the entire thing. 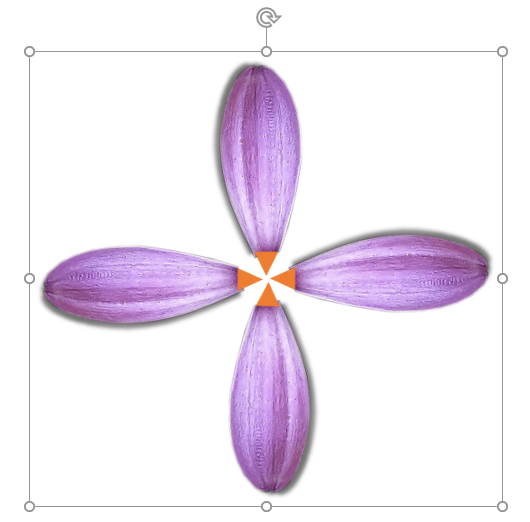 I laid out my flower petals and pistil around a common center point. I then drew a transparent square (no border and no fill) around those images and the center of the square also landed on the common center point. It looked something like the following. (Note that the square has no border; you only see it because it is selected in the image so that you can actually see the process). For this, I really just wanted 3 images, the two groups of colored petals and the pistil. I made a few copies of this image then deleted off the things I did not want. So for the pistil, I deleted all the petals. 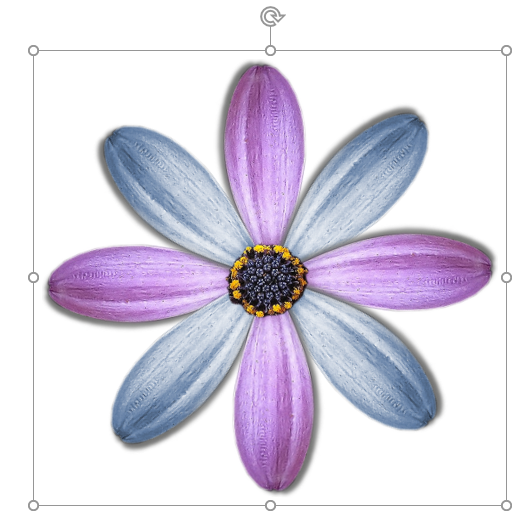 For the purple petals, I deleted the pistil and the blue flowers. For the blue flowers, I deleted the purple flowers and the pistil. However, I kept the transparent square with each of them. (This process is basically a replication of saving it all as one image and cropping out what I didn’t want.). The images looked like the following (note that I had to add small triangles to the end of the images to line up their center points). From there, I used the no-polygon method to layer images and allow them to be resized based on the percentage of the population that had access to clean water and enough food. There are, however, a couple other aspects of the viz that I’d like to briefly touch on, all of which are design-related. I struggled for a way to create a legend explaining how to read the chart. Everything I wanted to do ended up looking exactly like Ken Flerlage’s Modern Slavery viz (Ken is Tableau Zen Master and my twin brother for those who don’t know). Although we are identical and look very much alike, I did not want our vizzes to look alike. I put it down for a day and then about making it look like a post-it note tacked to a wall. So naturally, I drew a square in PowerPoint, rotated it, added a shadow, found a free image of a thumbtack, and added my flower legend. And there you have it, a post-it note legend. But wait, it would really be cool if that post-it note hung off the edge of the page. To do this, I simply added a text box with a border. I brought that text box all the way to the top left and bottom left, but did not extend it all the way to the right. On the right, I left some extra space. This ultimately made the dashboard look smaller than it really was and created he illusion of the post-it note hanging off the edge. I admit that I was pretty excited about the way it turned out. I love Tableau! I mean, I absolutely love it. I cannot get enough of it. However, I would love to see them provide more options in regards to text. There is no “justify” alignment (this is where it is both left and right justified) and it is difficult to wrap text around images (this requires a series of carriage returns). When I added the text at the top and the bottom, I just did not like the alignment. I decided to make some adjustments using Microsoft Word. 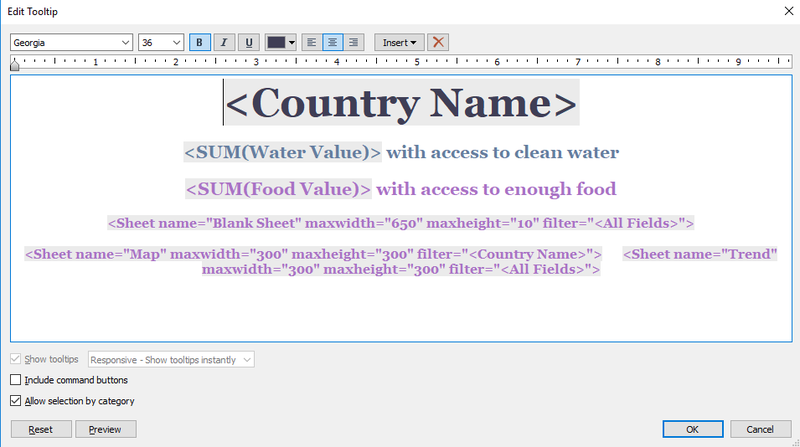 Word allows you to justify your text as well as wrap text around an image. I brought the image of my Post-It Note Legend into Word, put it in line with my text, then wrapped my text around it and justified that text. I then just took a screenshot of it (zoomed in as much as possible to get the best resolution) then brought that screenshot into Tableau. I did something very similar with the summary section at the bottom to ensure it too was justified. 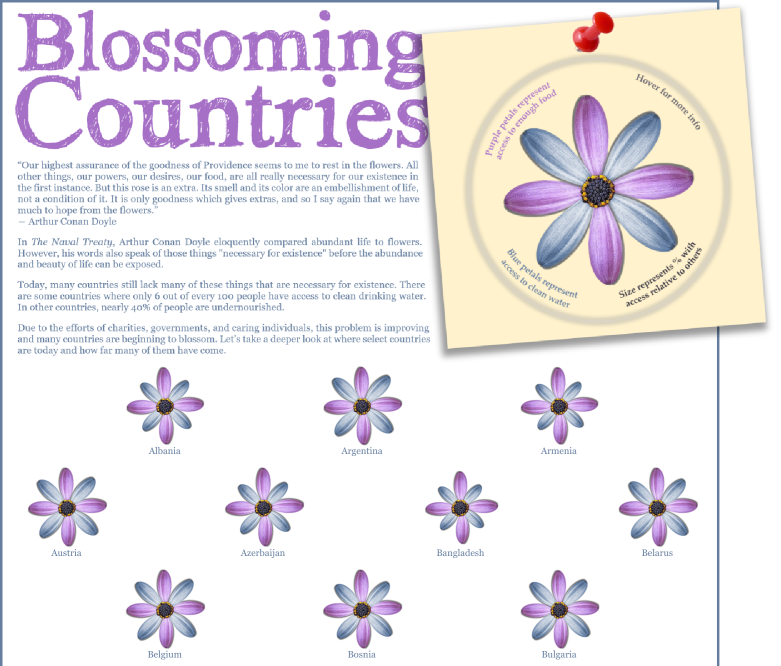 Each flower has a viz in tooltip to show the trend over time. But I looked at a lot of the country names and I am embarrassed to admit that I didn’t know where a lot of them were. To show their general location, I added a map viz in tool tip to the trend over time viz in tooltip. Unfortunately, the vizzes in the tooltip were stacked on top of each other and simply did not look good. Then I remembered the tip battle that I competed in at TC18 against my good friend, Rodrigo Calloni. He provided a tip on how to basically build a dashboard within a tooltip. (You can read all about it on his blog post related to that tip). He explained how you could place multiple sheets in a tooltip next to each other rather than on top of each other. First you create a blank sheet and bring that into your tooltip. In that tooltip “link”, change the maxwidth to be the actual width you want the tooltip to be when viewing it (I used 650). Change the maxheight to be 10 or so. Now in your tooltip, bring in your first sheet to be used as a viz in tooltip followed by a space and then your second sheet. Change the maxwidth of these to be something less than half of the maxwidth you used for the blank sheet above (I used 300 for each of them). Ultimately the blank sheet will cause the tooltip to be as wide as you direct it to be and then your two sheets will show side by side in the tooltip. Below is what it looked like in the editor and what it looked like when viewing it on the dashboard. And that’s it! 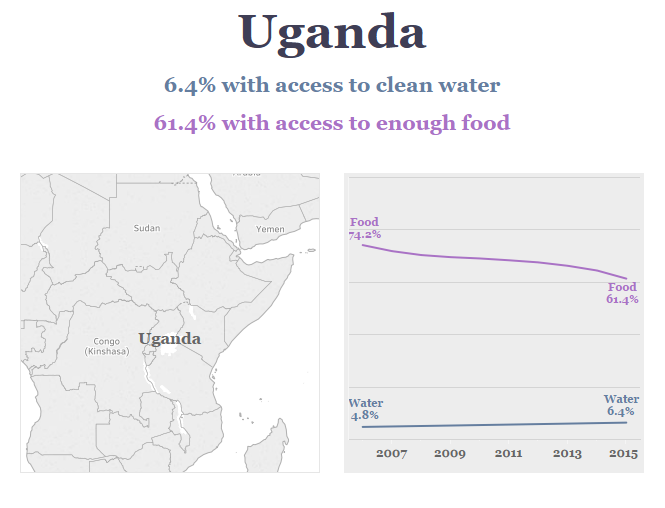 A small multiples, no polygon analysis of hunger and water scarcity. You can view the actual interactive viz here. I hope you enjoyed the blog post and viz. If you have any questions, feel free to contact me at any time.